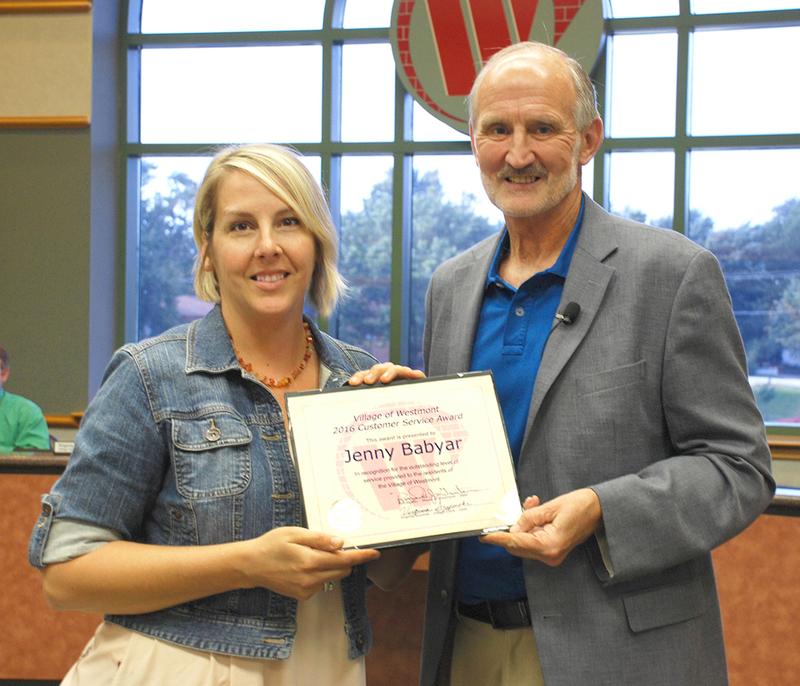 On July 21, 2016 the Village of Westmont recognized Jenny Babyar with a Customer Service Award. This award is given throughout the year to employees who are recognized for their exceptional customer service. The Village congratulates and thanks Jenny for her excellent service and commitment to serving our residents and businesses.